Growth and healing almost always start with a conversation. In this episode, Andy hosts a raw and candid conversation about race, racism, and faith. Wanna keep the conversation going? Click here to download our Skin in the Game discussion guide. Want to know the secret to a happy marriage? It’s a choice that happy couples don't always know they're making, but it makes all the difference. Join us this week as Andy wraps up the series, What Happy Couples Know. Have a story to tell? We want it hear it. Visit yourmove.is/stories or send us an email at stories@yourmovie.is. As long as you think your partner owes you, your marriage will be all about keeping score. What do we do with the unfulfilled hopes, dreams, and desires we have for the relationship? Find out in Part 3 of the series, What Happy Couples Know. This week, Andy continues with Part 2 of the series, What Happy Couples Know. A great marriage requires preparation, care, and regular maintenance, but sometimes we don’t want to make the effort. As long as everything seems fine, do we really need to talk about it? This week, Andy kicks off Part 1 of the series, What Happy Couples Know. Words have power. The words spoken about you and to you have shaped the person you are today. So, how do you use this power for good? With just a few words, each of us has the potential to build up the people around us or tear them down. So, what do we do with that power? Is there really a way to control what we say? What we naturally want is often in conflict with what we ultimately value. So, how do we put aside our natural wants to pursue what we ultimately value? If you could choose, how would you want people to describe you? Andy explains how your response to this question can help you uncover what you really value. We’ll never get what we really want until we discover what we value. In a world of short-term desires, how do we focus on what we care about the most? What do you want for yourself? Is it a what? Is it a who? And are you sure it’s what you really want? All of life is connected. In this episode, Andy explains how to be wise with our time now in order to create a drama-free life in the future. In this episode, Andy gives advice on the topics of debt, sexual choices, and self-improvement. We all wonder. But what do we do when wonder leads to wander, and we've wandered far from the option of a personal faith? What if there's a version of faith that actually makes sense? We all have a framework that helps us make sense out of life. It helps us make decisions that make sense. But is there a framework that makes sense out of faith? What do we do with the big mysteries in life—the mysteries that won't resolve no matter how much we explore them? What do you do with your unanswered questions? One of the biggest barriers to belief in God’s existence is that we don’t want to need God. The idea of autonomy is attractive, but what if it is merely an illusion? Want to talk about it? Gather your friends and grab these conversation starters. If your goal is happiness, no amount of money alone will ever be enough. In this episode, Andy explains how the way you view money can actually help you find peace. Sometimes it seems that happiness and Christianity are mutually exclusive. In this episode, Andy argues that the opposite is true. We all dream of a trouble-free life made possible by something. In the series, Andy asks what really makes people happy. Plans are great, but reality often wins. So what do you do when you discover your dream can’t come true? Few things are as inspiring as a leader who says no to himself or herself in order to say yes to those for whom he or she is responsible. How can we choose to lead that well when authority is placed in our hands? Humble shepherd. Giant-slayer. Gifted poet. Mighty warrior. Flawed man. Legendary leader. For the next four weeks, we're talking about David—one of history's most famous kings. But he wasn't great because of his reputation or military prowess. He was great because of where he'd learned to place his hope. Happy couples make the same choice over and over and over again. In this episode, Andy explains it's the choice they don't always know they're making that makes all the difference. As long as you think your partner owes you, your marriage will be all about keeping score. That destroys intimacy. It destroys love. But what are we supposed to do about our hopes, dreams, and desires? When we choose to commit to a marriage, we do so with hopes, dreams, and desires. But these often turn into expectations that you look to your partner to fulfill. Your relationship becomes marked by the belief that your spouse owes you something. Sound familiar? In this episode, Andy explains how to avoid this cycle. A great marriage doesn’t happen by accident. It requires preparation, care and regular maintenance. But sometimes we don’t want to make the effort. As long as everything seems fine, do we really need to talk about it? The messes in our lives are rarely solved with quick, simple fixes. In this episode, Andy introduces a better approach. It's a misconception that Christianity is about staying out of trouble. In this episode, Andy discusses the flaw in this belief. In this episode, Andy explains how the messes we make of our lives can bring us closer to God. Something we all have in common is making messes of our lives at one time or another. In this series, Andy reveals the silver lining of this. A hero saves the day, and sometimes a hero saves the planet. That makes heroism seem inaccessible to most of us. But with a single question, we can access our heroic potential. Making the world a better place means giving up time, money, and opportunities. But what if that's the only way to live a life of purpose and meaning? If you want to become a better person, do something this year to make the world a better place. In this episode, Andy discusses how to determine what that something should be. The new year is all about making ourselves better people. In this episode, Andy suggests becoming better people by doing something to make the world a better place. In this episode, Andy shares the Christmas story and the potential for making it personal. In this episode, Andy explains that there's a light that can cut through doubt, anger, shame, and disappointment. For many, the Christmas season is complicated. But no matter your circumstances, Christmas can be a reminder of light overcoming darkness. All of life is connected. 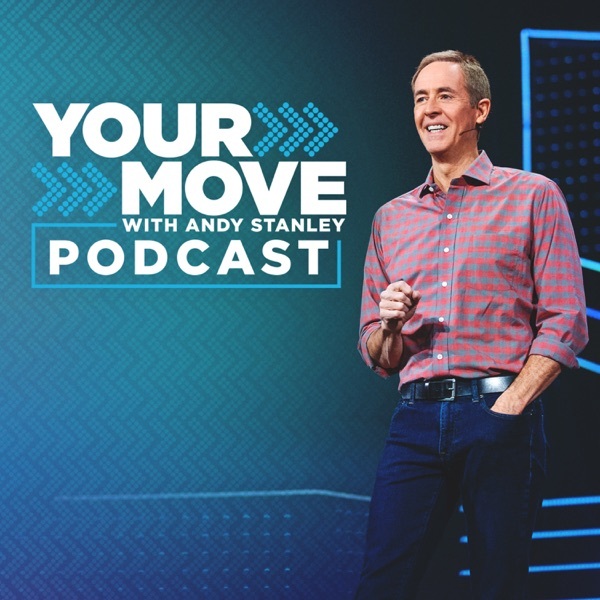 In this episode, Andy explains how to be wise with our time today in order to create a drama-free life in the future. Generosity requires a plan. In this episode, Andy explains two questions that will help you decide where and how much to give. We all worry about money. In this episode, Andy explains a simple shift in perspective that can free you from financial worries. We tend to measure generosity by random acts of giving. In this episode, Andy makes a case for generosity as a lifestyle. Sometimes you know what’s coming next—a graduation, a wedding, a new baby, a new job, or retirement. But there’s no correlation between knowing what’s next and being prepared for what’s next. In this episode, Andy explains how to prepare for the season ahead. Life is full of change. Transitions can be both exciting and stressful. What if there was a way to prepare? What if we could do something now to influence where we end up? In this series, Andy explains how to prepare for the season ahead. What we naturally want is often in conflict with what we ultimately value. So, how do we put aside those natural wants and pursue what we ultimately value? What do you really want? We’ll never get what we really want until we discover what is most valuable. In this episode, Andy helps us figure out what it is that we ultimately value. We’ll never get what we really want until we discover what is most valuable. But what if the road to discovering what’s valuable doesn’t come naturally? What is it that you want for yourself? Is it a what? Is it a who? Maybe it’s a state of mind. Are you sure it’s what you really want? In this episode, Andy helps us figure out our answers to those questions. Andy hosts a candid conversation about race, racism, and faith in America. How do you get from where you are to where you want to be? In this episode, Andy introduces an idea that can help you find your way. Your job matters. The people you work with matter. What you do matters. In this episode, Andy looks at how to go the extra mile and make a difference in the marketplace. Do you ever wonder if there's more to life than there seems to be? In this episode, Andy explains how life is better when lived for a greater purpose. Have you ever needed to make a big decision quickly? In this episode, Andy reveals a question that can bring clarity to the options you're considering. Every decision you make becomes part of the story of your life. In this episode, Andy explains how to make your story one you want to tell. We've all made decisions that make us look back and wonder how we could have been so dumb. In this episode, Andy reveals a question that can help prevent more regrets. What do you do when your work life is so full you don't have time for the people who matter most? In this episode, Andy talks about creating breathing room for our relationships. We often think that a higher standard of living equals a better quality of life. In this episode, Andy talks about creating breathing room for our bank accounts. Sometimes we can't enjoy anything because we're trying to do everything. In this episode, Andy explains the value of limiting what you do with your limited time. Busy lives make it easy to lose sight of what's important. In this episode, Andy explains why life is better with breathing room. If the Bible is the foundation of the Christian faith, then as the Bible goes, so goes the legitimacy of Christianity. But what if the Bible shouldn't hold that much weight in the debate? In this episode, Andy explains that Christianity doesn’t exist because of the Bible any more than you exist because of your birth certificate.